Where would this compressor be installed? 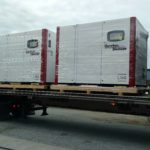 Do you have room and easy access in your current compressor room, or will it need to be installed in a remote location of the plant? What are your pressure and CFM requirements? Knowing this ahead of time will expedite the process of finding a rental. How would you incorporate the rental into your existing compressed air system? Will you need an extra hose to connect? If it’s necessary to put the compressor in a remote location, make sure you know how much hose you’ll need to tap in to your plant system. You’ll also need extra wire to run power to the compressor. Knowing how much you need will save time. Keep air quality in mind as well. If you have to locate the rental away from your other air treatment equipment, consider a dryer and filter to go along with the rental compressor. If it’s going to be a long-term rental, be sure to find out up front who is responsible for the routine maintenance and any repairs necessary on the rental. 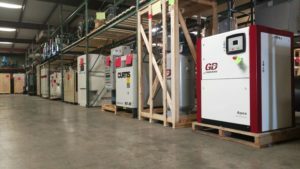 At Lewis Systems & Service Co., Inc., we have a wide variety of rental compressors available-from reciprocating to large flow oil-free rotary screw compressors. We also have NFPA 99 medical compressed air and vacuum packages available for short – and long-term rentals. Contact us and we’ll be happy to help you out.